There was a noticeably larger crowd around the Radio Shack team bus this morning in Claremont after Chris Horner asked the LA fans to show up at the race today. And an rather unusual crowd on Mt Baldy today. The pros sure can make a very difficult stage look easy on TV. 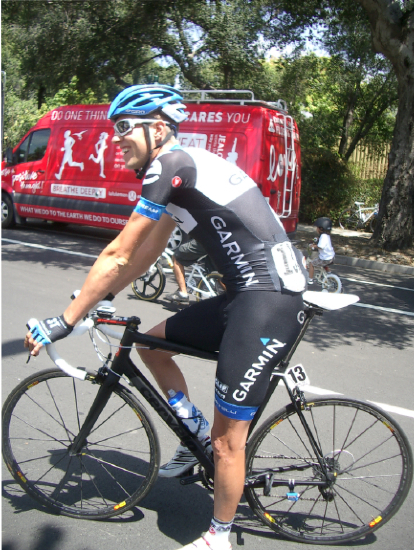 Many more pictures will be posted this week from Stage 7 ATOC! I returned to Laguna Beach this afternoon and went for a good bike ride along the ocean and back bay with my brother. Together with watching the Giro in the morning on Universal Sport, and the Tour of California in the evening on Versus, and going to Stage 7 this morning - there was little time for organizing another 400 fun pictures, I'm having too much fun in California!